The first reality panel was with Joe Maddalena, owner of Profiles In History, one of the largest auction houses dealing in movie and television memorabilia. He has a new show starting October 27th on Syfy called Hollywood Treasure where they hunt down, verify, appraise and auction off various items. In the first couple episodes, we will see Joe and his staff find Mary Poppins’ carpet bag in a basement, the Jupiter II landing pod from Lost In Space, and the Wicked Witch’s hat from The Wizard of Oz, and he also talks with Dawn Wells about Gilligan’s Island memorabilia and visits an actor/sculptor who is also a big Batman fan. At the Digital Press Tour panels, he also brought some items for us to see. 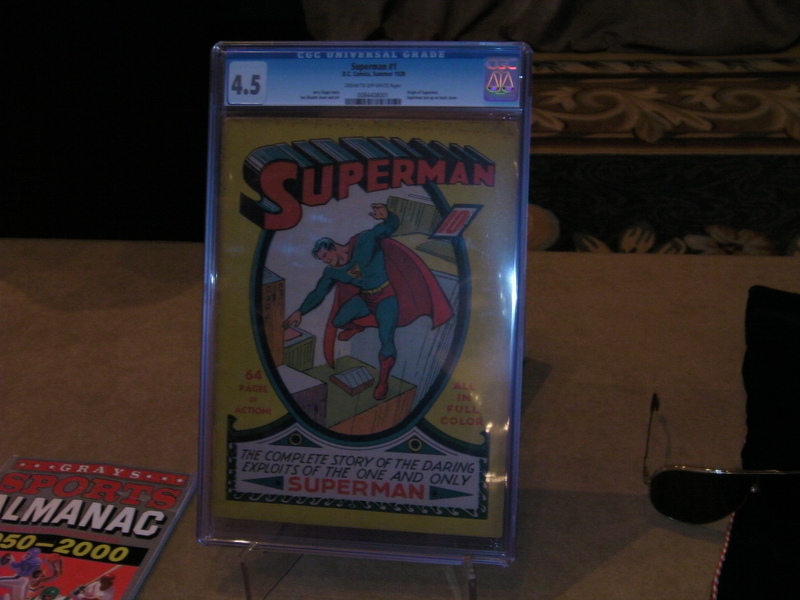 A Superman #1 comic, rated the 8th best unrestored copy and worth an estimated $100,000; the “Gray’s Sports Almanac” prop book from Back To The Future 2, to be sold at auction to benefit Michael J. Fox’s charity; and Veruca Salt’s actual Golden Ticket from Willy Wonka and the Chocolate Factory. Joe generally loves this stuff – he isn’t just shifting the items around. 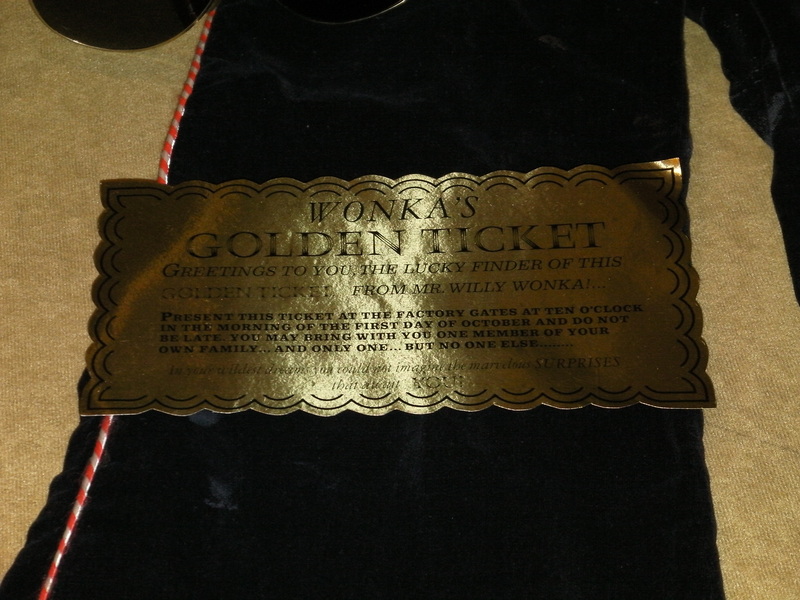 He is self-professed a fan of Wizard of Oz and Willie Wonka, and helps people get value for these items. I’ve seen the first two shows, and this is going to be very interesting with the things he will find. My father-in-law is already planning to watch. From there, we segued to wrestling. Yes, wrestling. OK, wrestling can be pretty “out there”, right? WWE’s Smackdown brand has moved to Syfy on Friday nights, and to introduce it former champions Kofi Kingston and Beth Phoenix appeared. Beth is currently recovering from knee surgery and hopes to be returning to the ring soon. 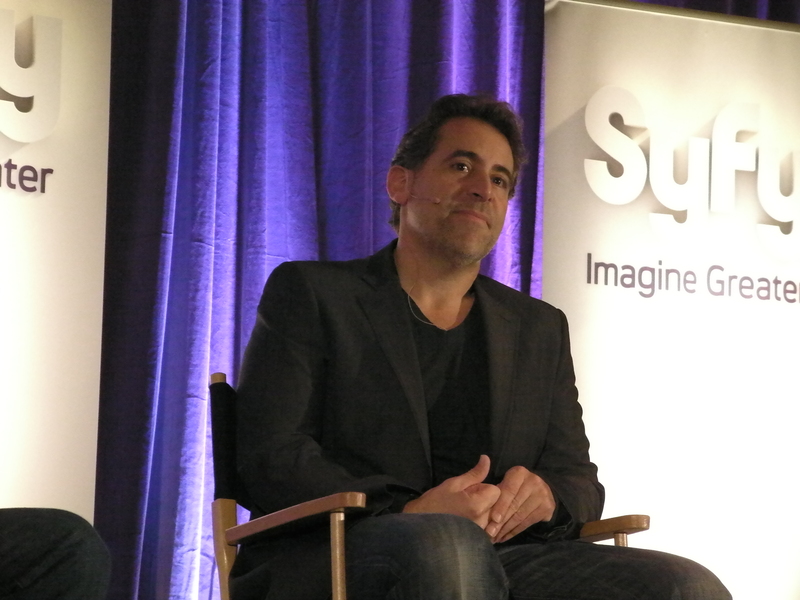 So, being on Syfy now, do they hope to crossover into other Syfy shows?